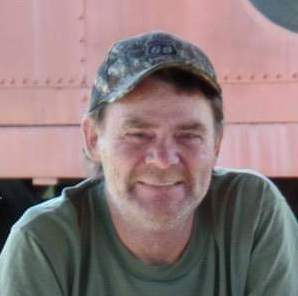 Bobby Dean Newman, 54, of Grayville, Illinois, died Friday, April 12, 2019, at his home. He was born December 18, 1964, in Carmi, Illinois, the son of Robert Dean Newman and Etta Viola (Earl) Newman. He was married to Sherry (Goodwin) Newman, and she survives. Dean was a member of Northside Baptist Church in Grayville. He was a truck driver and enjoyed gaming, especially horse racing. Driving through the country spotting deer and being with his grandchild, Mason, were among his favorite things to do. Survivors include his wife, Sherry Newman of Grayville; son Bobby (Tabitha) Newman of Ft. Branch, Indiana; daughter Jennifer Newman and her fiancé Tony Garrison of Grayville; brothers Telvis Bell of Oakland City, Indiana, Kenny (Mary) Bell of Grayville, Phillip Bell of El Paso, Texas, Ronnie Dale Hungate of Grayville, Henry Newman of McLeansboro, Illinois, Michael Newman of Oklahoma; sisters Kathy (Kevin) Frankenberry of Fairfield, Illinois, Joann (Jeff) Tarr of Mt. Carmel, Illinois; and grandchild Mason Dean Stover. He is preceded in death by his parents; sisters Connie Brooks and Barbara Hinnenkamp; and brother Robby Myers. Visitation and funeral are Sunday, April 14, 2019, at Cook Funeral Chapel in Grayville. Visitation is 1-3 pm and funeral is at 3 pm. Burial is in Oak Grove Cemetery in Grayville.